Click on the “Roofing 101” tab from our home page to see the key Danger Signals of a Failing Roof. Roof replacement costs will vary based on material used and labor requirements, along with other factors. In general, you should expect to pay around $3.50 per square foot to hire a reputable contractor to tear-off your existing roof and install a complete new roof system using the most commonly used Dimensional Shingles. An average home will have around 2500 square feet of roof area which would equate to $8,750.00. My roof has black stains on it. What are these stains? These stains are caused by Algae growth. They form on shingles manufactured before 1995. Algae growth on shingles began to occur when manufacturers began to use powdered Limestone to the base in the manufacturing of shingles. Limestone is a growth medium for Algae. Algae thrive in humid, moist environments. Generally the Algae will form on the north elevation of a home where extra shade and moisture support its growth. Algae growth is generally harmless to roofing material but it is unsightly. The process of removing Algae from your roof may shorten the lifespan of your roof. Modern shingles have added copper granules to the asphalt mix which restricts Algae growth on the shingles by spreading the copper over the roof surface during rainfalls. Tearing off or roofing over your existing roof. – Most reputable contractors will advise you to remove your existing roof materials before re-roofing. Removing your roof allows you to verify that your roof sheathing is not dry-rotted or damaged, allows the installer to properly install new metal flashing rather than to leave your existing flashing in place, and provides a smooth flat surface on which to lay your new roof. Removing your existing roof adds substantially to the cost of your re-roofing project, subjects your home to water infiltration if the installer does not take proper precaution to keep your home protected during the installation process, and creates a large amount of debris. You can choose from Three-Tab, Dimensional, or Designer Shingles. More than 80% of homeowners in NE Ohio today choose Dimensional shingles. Dimensional (or Architectural) Shingle design because they are more attractive than the old standard Three-Tab shingle but cost only slightly more. Upgraded “Designer” shingles are available in many styles and can dramatically alter the appearance of your home in a positive way. Click on the “Products” tab from our home page to see different styles and colors of available designer shingles. Other considerations include attic ventilation, Leak Barrier, Cap Shingle type, and Warranty options. Click on the “Roofing 101” tab on our Home page and then click on the “GAF Roofing Wizard” tab for details on these important details of your re-roofing project. What should I consider when selecting a Roofing Contractor? In Ohio, there are no licensing requirements for Roofing Contractors. As incredible as this may seem, it is true. This means that any person can set up as a Roofing Contractor and sell you a roof that he or she; a) does not know how to properly install b) does not have the proper equipment to install c) does not have the financial capacity to pay his labor or material bills for d) is not paying proper and legal wages to his workers for d) is not providing safe working conditions for his workers or for you and your family e) does not have proper insurance to protect you in the event of a catastrophe (which are likely to occur if you hire an unqualified contractor). Contractor Certification is a relatively new development in Residential Roofing. Manufacturers pre-screen Roofing Contractors for product knowledge and experience, financial capacity, and a track-record of proper Customer-Service. There are different levels of Certifications based on the size, age, and training of the Contractors. DunRite Exteriors is Certified in a level of the top 2% of Roofing Contractors Nationally by GAF and Certainteed. GAF and Certainteed are the leading Roofing Manufacturers in North America. 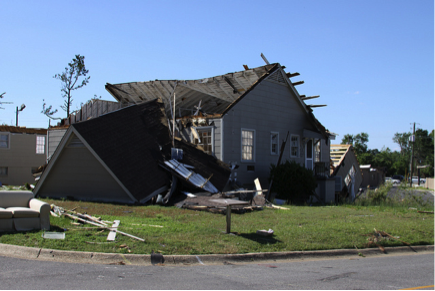 How can you protect yourself from a roofing catastrophe? Use a Roofing Contractor “Certified” by a Roofing Manufacturer.